I'm the proud owner of a bullmastif called Bubba. After we got him, I soon noticed that my mum, who has a number of health issues, was more at ease. She suffers from fibromyalgia, arthritis, chronic back pain and mental issues. She gets brain fog and her thoughts become jumbled and quite difficult to comprehend. But you can see that whenever she starts stroking Bubba, it helps to focus her mind. I’ve seen Bubba help my mother and it’s spurred me forward to promote this story. We hope to raise awareness about animals being used in therapy; they can be so much more than a family pet. 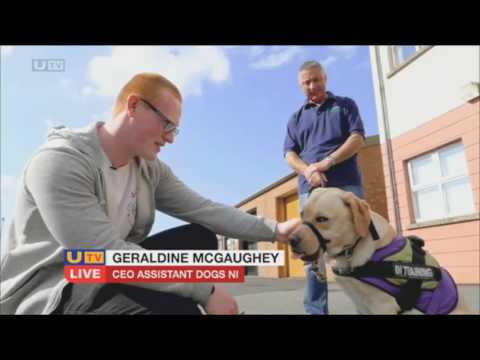 I would like to thank Liz Hudson from Southern Regional College and Geraldine McGaughey from Assistance Dogs Northern Ireland for helping me with this Fix.